66 I Who Moved Our Cheese? 68 I To Buy Or Rent? was named the development with the Best Regional Landscape Architecture in Asia Pacific. Meanwhile, Bennington Residences @ SkyArena, Setapak emerged as the Best Regional Landscape Architecture project in Asia Pacific. SkyWorld COO Lee Chee Seng, shares that these awards are a testament to SkyWorld’s ongoing endeavour in delivering a good mix of projects centred around its three main strengths namely; Value Creation, Integrated Sky Living experience as well as Innovative Concepts and Design. “Winning these awards both on local and regional levels underscored our constant strive for excellence. These awards are not possible without the commitment and support by our dynamic SkyWorld team and most importantly, our valuable purchasers and business partners who have supported us,” he says. celebration at Kempinski’s 120th anniversary KSK Land Sdn Bhd, developer of 8 Conlay, recently launched the Kempinski Discovery Platinum Card for YOO8 serviced by Kempinski owners during a special appreciation night themed “Ignite the Night” at the 8 Conlay Signature Sales Gallery. YOO8 serviced by Kempinski is the branded residence component of 8 Conlay, an integrated luxury development with a gross development value around RM5.4 billion. KSK Land Managing Director Joanne Kua says each owner received one complimentary Kempinski Discovery Platinum card, extending them exclusive benefits at Kempinski hotels worldwide including a complimentary third night’s stay. Siam Kempinski Hotel Bangkok General Manager and Senior Vice President of Operations in South-East Asia Samir Wildemann and KSK Land Director Datuk Steven Kua were also present. IJM Land’s Green Building Index (GBI)-certified green township emerged as World Gold Winner in the master plan category at the FIABCI World Prix d’Excellence Awards 2017 recently. The award, widely regarded as the “Oscars of the Real Estate Industry”, saw Bandar Rimbayu recognised for its excellence in real estate covering architecture and design as well as its contribution to the community. In receiving the award, IJM he is certain Bandar Rimbayu will become Land Bhd Managing Director the industry benchmark for an ecological, Edward Chong Sin Kiat says that sustainable and liveable township. MBAM to hold Chairmanship of the 44th IFAWPCA A group of key industry players recently attended the 43rd International Federation of Asian & Western Pacific Contractors’ Associations (IFAWPCA) Convention held in Grand Intercontinental Seoul Parnas, Korea. Led by Master Builders Association Malaysia (MBAM) President Mr Foo Chek Lee, the event was a success as MBAM Immediate Past President, Datuk are appointed to the post of IFAWPCA Matthew Tee and MBAM Vice President and IFAWPCA Secretary-General President, Ir. Chuan Yeong Ming respectively. IQI Sets Up Regional Hub In KL IQI, a leading real estate and investment firm recently announced the signing of two major agreements with Exsim Group. The signing ceremony took place between IQI Group CEO Kashif Ansari and Exsim Head of Corporate Communications Michelle Siew. IQI has acquired 33,000 sq ft of office space valued at RM30 million at Millerz Square @ OKR which will represent a new landmark at Old Klang Road in Kuala Lumpur. It is being developed by Exsim Group to serve as its Asia Pacific Command Centre. global conglomerate that it is known for today. He later addressed the crowd during a Q&A session both on stage and on the floor. He also shared the secrets of his success with the audience. “golden square” of Petaling Jaya. Also present to field questions from the media was its Executive Director Teo Chiang Khai. Since its opening five months ago, the mall has witnessed consistent increase in crowd numbers with a current footfall of approximately 30,000 daily visitors. This number is expected to increase as more of its tenants open their doors for business. The mall, with a current tenancy rate of 90% aims to achieve full occupancy by year’s end. At present, only 80% of the tenanted outlets have opened for business. In addition, the group’s newly launched serviced apartment, Somerset Damansara Uptown, and its residential condominium building, Uptown Residences, is anticipated to contribute towards the footfall of the mall. Mah Sing’s Topping-up Event for Savanna Executive Suites The Luxe by Infinitum Launched in KL The Luxe by Infinitum is the latest joint venture development project launched by established Singaporean developer RoxyPacific Holdings Ltd and Macly Equity Sdn Bhd. Ensconced away from the hustle and bustle of the city yet located right in the heart of Kuala Lumpur, the project boasts KL City Centre’s premiere “shoe box concept” that also features dual-key boutique suites. The launch at the showroom gallery witnessed members of the media and the public getting a first glimpse of the project. Mah Sing Group Bhd recently held a topping-up ceremony for the Savanna Executive Suites development in Southville City, Bangi. The event saw Group Managing Director Tan Sri Dato’ Sri Leong Hoy Kum, CEO Datuk Ho Hon Sang, Group Strategy & Operations Senior General Manager Rachel Leong, Chief COO Yap Chin Hua and Group Strategy & Operations Director Lionel Leong participating in the topping-up ceremony. The momentous ceremony was also witnessed by senior management, consultants, contractors and guests. Savanna Executive Suites is one of the few projects in the area with a direct interchange to the Kuala Lumpur-Seremban Highway. The direct interchange is currently 50% completed and is on track to be ready by December this year. Once completed, Southville City is expected to truly come to life. Googolplex Holdings Berhad & Gplex Realty held their annual dinner and award night on May 27 at the Renaissance Hotel, Kuala Lumpur follwing the theme “Hollywood Night”. Over 800 guests attended the event and were entertained by a live band and dance performance. A congratulatory speech was given by Group Chairman Peter Lee followed by Group CEO Christopher Liang. The night also witnessed the Top Recruiters and Top Manager Awards going to Jeff Gan while the Top Sales Award went to Michelle Chao. The evening also saw lucky draw​prizes​ given out including two Apple iWatches​ and a​3D/2N Laguna resort voucher worth RM2,000​. LBS Bina Group Bhd Group Managing Director Tan Sri Lim Hock San; Executive Directors Dato’ Cynthia Lim and Dato’ Alan Chia were present at the recent post-AGM media briefing. Sales growth as at May 30 was estimated at RM413.4 million while unbilled sales at May 23 was valued at approximately RM1.33 billion. In all, the future Gross Development Value (GDV) for the group totals RM30.6 billion. Meanwhile, the group’s total land bank of 3,920 acres is valued at a GDV of about RM1.88 billion. LBS currently has 17 ongoing projects worth RM3.2 billion with 72% or RM2.34 billion worth of projects already sold off. Dorsett Residences: A Pristine Address Mayland Group of Companies recently unveiled Dorsett Residences located at the premier address of Sri Hartamas, a neighbourhood known for its amenities and easy accessibility. Managing Director Datuk Kevin Woo says that Dorsett Residences, located in an attractive address, is a viable investment for discerning buyers. Guests and invited stakeholders were give a personal tour of the fully furnished studio suites. Fostering Inclusiveness In Malaysian Cities A group of industry experts from the construction industry gathered at RUANG by Think City in the heart of Kuala Lumpur to have a dialogue concerning the topic of “Building Inclusive Communities”. This was aimed at seeking to understand current and future social, economic and community-based issues posed by the growth of cities. The forum saw panellists covering diverse questions posed by Director of Design Evolution Architects Sdn Bhd Ar. Wan Sofiah Wan Ishak who was the moderator for the event. The topic of world-class cities and the concept of inclusiveness were explored. This is to seek opportunities to establish a sustainable, inclusive and better living environment to benefit all levels of Malaysian society. The panellists also discussed the possible implications of new economic models from the growth of Information Technology. Potential solutions were also discussed to address the current housing gap for houses priced between the RM200,000 and RM350,000 range. Cyberjaya, a Model for Smart City Developments Cyberjaya recently celebrated its 20th year anniversary with 11 major announcements made. These included the establishment of a Research and Development (R&D) and Innovation hub as well as a regional centre for big data witnessed by Prime Minister Datuk Seri Najib Tun Razak. The announcements highlighted brand new projects, investments and funds aimed at strategic collaborations to accelerate Cyberjaya’s transformation into a global technology hub. In the last 20 years, Cyberjaya has undergone major transformations from an IT Hub under the Multimedia Super Corridor (MSC) into a Global Tech Hub. It has become a critical contributor to Malaysia’s digital economy. The city has generated more than RM12.5 billion revenue coming from Malaysia’s MSC companies which recorded more than RM12.5 billion revenue, an increase of 28% from the previous year. TAHPS Hosts Orphanages at Raya Do ​TAHPS Group Bhd (“TAHPS”) ​​recently ​hosted a breaking of fast event for 30​ children from Pusat Jagaan Mesra Limpahan Kasih​. This was part of its “We Care” Corporate Social Responsibility (CSR) programme. Pusat Jagaan Mesra Limpahan Kasih is a welfare home that is located in B ​ ukit Puchong, Selangor​. Apart from donating RM2,000, each child received duit raya and a special gift as part of TAHPS’ Make-A-Wish initiative​. TAHPS also distributed the bubur lambok to​ ​Royal Malaysia Police ​officers in Bukit Puchong​present at the event​. “This is a small token of appreciation for keeping our township safe and secure by remembering the contributions of PDRM,” said E ​ ugene K ​ hoo​, CEO of TAHPS Group​. He recalls how his father would teach him something on the first week and then test him again on the second week to see if he could recall what was taught earlier. “Since I was young, my dad has basically instilled the importance of three words to us – ‘commitment, initiative and responsibility’ which he said is needed in order to succeed. And, I have always lived by these three words,” says Eric. He jests that whatever he sets out to do, has to be done whole-heartedly. “Commitment is very important, and we are committed to bringing the company to the next level. At Crest Builder, I practice an open door policy so my employees can come to me with ideas, for advice and also to give their proposals. “This is the initiative part. Lastly, being responsible is one of the most important things. Many people tend to run away from their problems but I believe in facing problems head on. Be responsible over whatever you undertake and you’ll learn the full lessons from it,” he adds. they run into financial difficulties. “On the contrary, our land acquisition method is mostly via privatisation (deals) so we spend minimally on the initial land cost and are able to manage our cash flow (better). In this time and age, end users and purchasers tend to be very picky and a lot more demanding with their property purchases,” he observes. Unfazed by this challenge, he says the group believes in delivering impeccable quality and standards to its end users. Testimony to its success are completed residential projects in Shah Alam include the completed Alam Sanjung with a gross development value (GDV) of RM328 million; Alam Idaman with a GDV of RM108 million and Alam Prima with a GDV of RM65 million. Counted in its commercial developments in Shah Alam is its Avenue Crest project launched in 2012 has with a GDV of RM162 million. Crest Builder recently launched Residensi Hijauan in Batu Tiga, Shah Alam, a couple of months back which is also known as The Greens. The project with a GDV of RM391 million has already recorded a 50% take-up rate. Eric shares that contributions from the construction sector came from the RM438.3 million mixed-use development contract clinched from Sime Darby Melawati Development Sdn Bhd and the RM198 million Anggun serviced apartments contract in Jalan Sultan Ismail, Kuala Lumpur, secured from UDA Holdings Bhd last year. The company is surging forward with its first mega project, the 1.08ha Latitud8@ Jalan Ampang in a joint venture (JV) with Prasarana Malaysia Bhd. The 42-storey mixed-use development with a GDV of RM1.25 billion will see units priced from RM1,359 psf - RM1,650 psf. In addition, Crest Builder will be embarking on another JV project with Prasarana to develop vacant land around the Kelana Jaya LRT station into a RM1 bil GDV mixed-use development that is anticipated to be launched in 2019. “We have been doing many property projects on our own and hope to do more JVs with government-linked companies, moving forward. The advantage of such JVs is that they ease our cash flow in terms of payment for the land and require smaller capital outlays,” he concludes. CANDID TAKES WITH CREST BUILDER HOLDINGS BHD GROUP MANAGING DIRECTOR ERIC YONG Please share on your latest Latitud8@ Jalan Ampang project and when it will be launched? Based on our latest numbers and current market conditions, we are targeting a soft preview launch towards the end of September, and will gear up for an official launch towards the end of the year. The project will feature a three-storey small boutique mall at the bottom, a convention business centre on level four and 16 levels of corporate offices above that. Level 21 upwards will feature 440 units of luxury residences in 21 different layouts. The units will range from 700 sq ft - 1,200 sq ft, with the penthouses comprising 2,100 sq ft duplexes. We’ve tested this concept in China and received good response. What is the latest trend in the market? The current future trend is geared towards transport-oriented developments (TODs) as the government and local authorities push for lesser parking spaces in the city due to massive congestion. Taking this into account, coupled with the growing trend of the usage of ride sharing apps such as GRAB and UBER, I foresee there will be many more developments in the city that would provide lesser car parks. Thus, Latitud8, being right on top of the light rapid transit (LRT) station, would become the most viable option. Who constitutes Latitud8’s target market and what are they looking for? Being a project that is designed to adapt to the future, we are targeting Gen Yers and the Millennials. They are the main reason why GRAB and UBER are doing so well. There are a few key factors when it comes to Latitud8, with the most obvious being connectivity. The project’s location is also a very strong factor as it carries the Jalan Ampang address. The units will be sold at a much lesser premium considering the project is situated just 100 metres from KLCC. The units will come with minimal car parks since we are promoting TOD as a concept. Why do you foresee TOD as the emerging trend of the future and is this concept taking off from the trend of mixed-use developments prevalent in the market a couple years ago? How will these two trends affect the wave of property developments in the future? Back then, properties were commercial or commercial residential. Right now, the trend is towards TODs. With Dewan Bandaraya Kuala Lumpur (DBKL) already increasing car park charges in the city and continuing to toy with reducing car park requirements in new developments, TOD will be the new emerging trend. It will become the trend for the near and far future. As KL gears up to become a full-fledged metropolis, the only direction for buildings will be upwards – and you will see many more high-rise mixed developments in the city. Land space is also getting more expensive so developers would welcome this car parking reduction requirement. The taxi industry claims they are not surviving. I think that is because most people tend to drive. They drive to the edge of the city and take a cab to commute around. I think with UBER and GRAB, TOD becomes a key factor. In Hong Kong, the typical TOD is located five minutes or 100 metres from the station but in KL, TODs tends to be 10 minutes or 200 metres away. If you observe countries around the world such as Japan and Korea, you will see that their Line 2 or Circle Line are connected ti all the key areas as well as the Central Business District (CBD). Likewise, with TODs, city dwellers in KL are able to connect to various areas amidst all these inner city travelling. 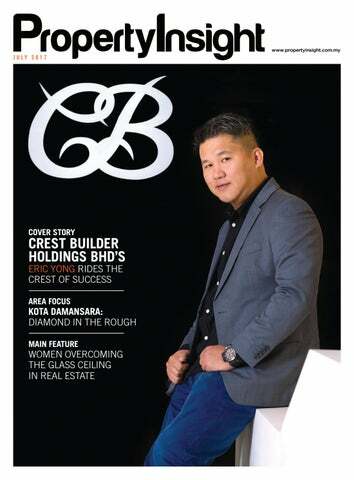 FROM ZERO TO CONTRACTORCUM-DEVELOPER HERO The late Crest Builder Holdings Bhd Founder Yong Soon Chow built the family business from scratch. Having graduated in 1977 from University Malaya, he subsequently joined Jabatan Kerja Raya (JKR) in 1978. In the early 1980s, there was a big construction boom in the country springing from the 4th Malaysia Plan (RMK4). This period of time also witnessed the transfer of leadership between Tun Hussein Onn and Tun Dr. Mahathir Mohamad. Sensing opportunities on the horizon, the elder Yong left JKR and started the Crest Builder group. True to his foresight, the early years saw many projects taking shape in the rural areas spanning bridges, roads and various other municipal projects. “Towards the mid-80s, there came a housing boom, and the group started undertaking some private sector building projects. “Then, came the late 80s, whereby there was the North-South Highway construction and he went into subcontracting as there was a shortage of building contractors,” relates Eric Yong, Group Managing Director of Crest Builder Holdings Bhd. with the acquisition of 3 Two Square site, it also obtained other plots unorthodox approaches. The site of the five-phase Batu 3 development in Shah Alam was acquired via a Danaharta auction while the site of Tierra Crest in Kelana Jaya, Selangor was the result of the privatisation of TM’s football field and car parks there. Crest Builder went on to acquire a plot in Mont’ Kiara, KL which was sold at very much below market prices. More recently, it ventured into the monetisation of government assets via its privatisation move. The first plot was the privatisation of KL’s Dang Wangi light rail transit (LRT) station’s air rights space that was obtained via an open tender of which it was the highest and most impressive bidder. Later, the plot opposite Great Eastern Mall, KL was tendered out by the Malaysian Rubber Board and Crest Builder managed to secure it, being the highest bidder. It also subsequently secured the privatisation of the Kelana Jaya LRT Station in Selangor. Charmaine Lim Puay Fung says there has always been some level of gender discrimination for women. “It is apparent in my industry too although I have been working with many talented women leaders and professionals since my entry into the industry. These women inspire me and make me believe that our voice is equally important so long as we are making a difference in our work or life. I hope I am able to share the same positive courage and belief to other women in my industry as well,” says Lim. Today, a growing number of women have entered different sectors within the real estate industry ranging from finance and property management to brokerage. One outstanding woman involved in the real estate industry is none other than Mapleland Properties Real Estate Senior Negotiator Juliana Teh who has been in the industry for more than 18 years. As opposed to Lim’s opinion, Teh feels that real estate is one of the few industries whereby no particular gender dominates the industry, as opposed to the more traditional roles like being a nurse or a mechanic. “I feel privileged to be a small part of this big industry where things are constantly changing and we are seeing more diversity at the workplace,” says Teh. - Catherine Wong If companies have to choose where to put their resources when it comes to supporting female employees’ success, their top three priorities should be as follow: providing challenging job assignments, employing an objective performance review process, and offering flexibility. HELPING WOMEN SUCCEED In order to determine the most effective action that organisations can take to advance women working in the real estate industry in the Asia Pacific region, Women’s Leadership Initiative (WLI) and Ernst & Young launched a publication entitled “Advancing Women in Real Estate”. The research was drawn from a survey of nearly 300 women who are real estate and land use professionals working in Australia, China, Hong Kong and Singapore. These locations were chosen because they have the largest concentration of women working in real estate in the Asia Pacific region. KEY FINDINGS FROM THE STUDY:Conflict with family commitments is seen as the main barrier to women’s ability to achieve success. More than half of survey respondents indicated that the tension between workplace commitments and family commitments is the main barrier that prevents women from achieving professional success. 50% of the survey respondents said that being formally provided with generous family leave and workplace flexibility is critical to their career success. However, a large percentage indicated that they do not receive these benefits. Women need access to generous maternity or familial leave, as well as flexibility in their day-to-day schedules, in order to achieve success. striving for corporate level management or to become entrepreneurs and sole proprietors. China reported the lowest percentage of 23% only. The report also formulated certain recommendations that organisations could adopt to create more inclusive workplaces. These include providing challenging job assignments, creating a culture that places high importance on having passion in oneâ&#x20AC;&#x2122;s work and offering flexibility for women to be involved in their lives outside of work. Companies could also make mentoring and sponsorship of women a priority and invest in their training to encourage positive change. WLI Research Committee Chairman Serena Wolfe concludes that these findings illustrate that while companies are good at bringing women into the industry, the challenge lies in keeping women employed in the long term. In 2017, companies should be better equipped at enabling women to have careers and families by offering more flexibility at the workplace. Informal support systems play a key role in womenâ&#x20AC;&#x2122;s professional success and in fact may be more valuable to female employees than formal, company-sanctioned systems. Most important among these informal structures are internal (within the company) relationships, particularly with senior leaders, as well as an inclusive workplace culture. Female employees are not receiving the support they need from their companies to achieve professional success. 38 INDULGENCES FOR ALL GENERATIONS Lakeville is designed with families and their well-being in mind. The emphasis on nurturing a wholesome, active community is reflected by the 38 dedicated facilities that both the young and the elderly can enjoy together as a family, every day. roperty Insight recently had an exclusive chat with A Cut Above Sdn Bhd Founder Datin Winnie Loo, who has much to say about her property acquisitions purchased with her husband Dato’ Richard Teo. Together, they successfully run 13 hair salons and an academy which carries the same name “A Cut Above” that employs over 270 staff. Loo says she is blessed with a husband who constantly helps her in the business. To her credit, she has won numerous awards like Ernst and Young’s Woman Entrepreneur of the Year and the Most Innovative Woman Entrepreneur presented by the Women in Leadership Forum Asia which celebrates her success in business. Her husband initiated the idea for their first property buy in 1979 comprising a double-storey landed property in Sri Petaling, Selangor which was priced at RM56,000. It was eventually leased out and sold off five years later. Loo, who loves to explore new things and is inquisitive by nature, is excited whenever there is a new property launch crops up at an exclusive address. To date, she has acquired 15 properties. These include properties from prominent developers including BRDB Development Bhd, IJM Land, Tan & Tan Developments Bhd, SP Setia Bhd and more. Out of all these properties which she owns, her unit in Bangsar ranks tops in terms of her favourite place and location which she calls home. She said most of their properties were purchased for the long term. The rationale behind this is that eventually, the properties would likely be able to fetch at least twice or thrice their value in capital appreciation in years to come. The profit obtained can then be invested into buying additional property. “In 1993, we bought a spacious bungalow in Sierramas, Sungai Buloh in Selangor for close to RM1 million. We stayed there for two years before deciding to sell it off and shifted to Bangsar due to our children’s schools which were located close to Damansara,” says Loo. When the economic slump occurred in 1997, she had difficulties selling off that property. A lucky break came when an agent introduced a couple and managed to sell off that piece of property for a handsome figure, enabling her family to move to Bangsar. According to Loo, the advantage of buying property in an upscale location is that the property can fetch higher rental yields and capital appreciation with time. Despite her glamorous persona, her husband advises her to save instead of spending on a lavish lifestyle. She admits to being a bit of a spendthrift during her younger days. These days, she is predisposed to saving up so that she can buy her desired range of properties. She now reminds herself that “money saved now is money for tomorrow”. Unknown to many, this determined lady actually managed to purchase six properties by the age of 28. Not surprisingly, her friends were curious as to how she was able to own properties at premier addresses. After all, projects like Kenny Heights Villa by Dutaland Bhd in Kenny Hills and Serai by BRDB Development at Bukit Bandaraya in upscale Bangsar are coveted properties in prized locations. As a seasoned investor, she shares about her journey into purchasing and managing high-end properties to benefit others. Being a woman who has once driven second-hand cars and lived on a shoestring budget during her younger days, she says this experience has encouraged her to be a prudent investor. Though hailing from Ipoh, Perak, the affinity she shares with the Bangsar neighbourhood is obvious. After all, this is where she has lived for decades. Her bungalow has been featured in various local interior design magazines. Although she says that most of the luxurious homes in this neighbourhood come with built-in kitchens and wardrobes or areas designed to match the premier location in line with the upmarket neighbourhood, she has chosen to design her house her way. “I opt for a contemporary but fashionable, minimalist, artistic and creative look. My taste preference comes with a modern contemporary feel in terms of the selection of furniture and wall decorations,” says Loo. She engages trusted interior designers to decorate and design her properties. A particular house of hers that is located in Taman Tun Dr. Ismail, KL she says has attracted passers-by due to the striking black-and-white façade. She has never subscribed to feng shui but prefers locations that can bring in good values. Currently, Loo is in the midst of constructing their next dream home which is located in Seri Beringin, Damansara Heights. Having bought the large tract of land from SPPK Group, she is taking it upon herself and her husband to design a huge four-storey bungalow. When quizzed on three things that people would wonder about her, Loo says she loves to cook, enjoys public speaking and mentoring young or new entrepreneurs to equip them with knowledge and skills. ndependent global property consultancy Knight Frank’s May 2017 issue of its Asia-Pacific Residential Review revealed that cross-border residential land investment activity in Asia-Pacific has risen by 136.9% over the last decade. This is more than US$42 billion (RM180 billion) in 2016 as compared to US$17.8 billion in 2007. Most of the cross-border capital originated from developers based in Hong Kong and mainland China. 80.2% was spent on acquiring overseas residential lands within Asia-Pacific with Hong Kong developers owning 74.5% of the overall market share although the majority of companies are based in the mainland. Singapore-based developers own 7.3% of the total cross-border volume as they actively pursue more overseas development opportunities. Other notable players include the US (3.2%), Japan (2.4%), Malaysia (1.7%) and United Arab Emirates (1.1%). What’s trending: Growth in outbound activity by mainland Chinese developers Developers from mainland China had the most active crossborder residential land buyers in Asia-Pacific from 2012 - 2016 with transaction volumes reaching more than US$2.5 billion in 2016. Favourite destinations for Chinese developers include Australia (36.5%), Hong Kong (23.7%), Malaysia (19.7%) and Singapore (15.4%). this trend is expected to grow this year. He said this was following the flurry of cooling measures introduced in major Chinese cities and the recently enforced capital controls. Puchong Jaya in Puchong, Selangor just the way he envisions it. Hailing from a family in Japan which has a formidable reputation in property development, he is now attempting to create his own legacy with O’hako. In Japan, his father’s firm, Marimo Co., Ltd. has completed over 330 condominiums and more than 22,000 units including its Marimo brand townships. His father, Takeo Fukagawa, has since retired from the group operations that have been taken over by Taro’s brother, Makoto Fukagawa. Revisiting the company’s overall strategy, Makoto, the current CEO of Marimo in Japan, decided that the company should focus on expanding the business to South East Asia. Two of the countries include China and Malaysia which they ventured into in 2009. Planning with foresight, their reasoning was that Japan is an aging nation with declining birth rates and an increasing average median age. This has led to lower demand for newer properties as compared to Malaysia which is still a young nation with high growth potential. Establishing Marimo Land Sdn Bhd in Kuala Lumpur, the company will focus on building affordable homes for middleincome earners in Malaysia. 40-YEAR LEGACY IN JAPAN In Japan, the developer company is known for its direction in building high-rise condominiums for the middleincome group for 26 years. In addition, the Japanese pride themselves on their attention to detail and their commitment to building quality homes. Interestingly, Taro’s father started out as an architect, having set-up his own design studio before venturing into developing homes. Established in 1971, Takeo named his company AI Architectural Design Co., Ltd. The company, based in Hiroshima, Japan, specialises in designs for affordable highrise condominiums. Exemplifying the concept of kaizen, the Japanese word for “continual improvement”, the company grew over 20 years to eventually become a developer specialising in affordably priced condominiums. It remains a leading developer in Shikoku Island today. on the grounds once the project is completed. Complementing the large open spaces, the two towers will combine the best of local culture with the Japanese attention for detail. Not wanting to merely “copy and paste” ideas, Taro says he went through a few obstacles in pushing his ideas through for the project. For instance, his Japanese counterpart wanted to incorporate Japanese style bathtubs which were not suitable for the local weather. Deciding against a heavy Japanese influence, Taro brought in three young local architects to serve as inspiration for his new project. his family’s vision of providing quality homes at affordable prices. Petaling Jaya, notable landmarks located near the state seat constituency include the Sultan Abdul Aziz Shah Airport (Subang Airport or Subang Skypark) and the Rubber Research Institute of Malaysia (RRI). Incidentally, Kota Damansara falls under the Subang parliamentary constituency. PKNS for one, privatised and parcelled out tracts of land in Kota Damansara via joint ventures for development. Positioned in a nexus between surrounding townships with differing levels of affluence, it is not surprising to find developers including Tropicana Corporation Berhad (“Tropicana”) launching their developments here in Kota Damansara. an average RM523 psf in 2016 as compared to RM592 psf in 2015, reflecting a depreciation value at (-6.8%). These prices reflect transactions for intermediate units, excluding corner or end lots. Terrace units are generally selling at approximately over RM500,000 per unit while semi-detached units are priced at approximately RM800,000 per unit. Overall, there is a declining trend in the average price in Seksyen 11. Palm Spring, which is located in Seksyen 13, Kota Damansara, has selected apartments with transacted prices recorded at above RM420 psf in 2016 as compared to RM435 psf in 2015, recording an increase of 4.1% on average. At the D’Rimba project in Seksyen 13, Kota Damansara, the average transacted selling price is RM475 psf in year 2016 compared to RM442 psf in the year 2015. The firm’s analysis chart shows that high-rise residential properties have shown significant capital appreciation due to strong demand for apartments and mid-range condominiums. Therefore, silently and without much fanfare, Kota Damansara has quietly become a preferred residential location. Chester Properties Sdn Bhd Senior Negotiator Accessibility from Kota Damansara via highways like NKVE, LDP and Sprint are very convenient but there are too many traffic lights within a very short destination. After 10 years, Kota Damansara will be another standalone area with closeby iconic developments like Kepong, Damansara Utama and Tropicana. Kota Damansara still needs to improve on balanced developments for a better living standard and environment. the completion of its other ongoing developments. Future incoming developments hence will be minimal apart from its upcoming neighbouring township; which is Kwasa Damansara @ Sg. Buloh. While details are still scarce, what is known is that the project will be located around Lot 7 and 9, spanning a total of nine acres. The mixed-development project by Paramount Properties is at its preliminary stages of planning. Currently only open for buyer’s registration, the development is expected to be launched within the next two years. This improved connectivity might lead to more developers venturing into the locality with their respective developments - be they residential, commercial or industrial in nature. The locality is expected to benefit from this comprehensive integrated public transportation network. The township includes residential, commercial, educational and recreational components. From my viewpoint, with the completion of Kwasa Land’s developments and mass rapid transit (MRT) project, Kota Damansara is envisioned to easily be the future home for entrepreneurial and economic activities in 10 years’ time. This is one place you could be forgiven for getting your fingers downright dirty. Seafood lovers can feast on a smorgasbord of cooked King crabs, mussels, crawfishes and baby octopuses laid out on the table - minus the plates, forks and spoons. Half the fun was in donning an apron and gloves before the feast began. Rice was equally nice in accompanying the seafood feast. The spread featured tantalising sauces to choose from such as Butter Garlic, Lemon Pepper, CurryCurry and Black Pepper. MAKAN TIME Makan Time’s beautiful rustic ambiance is a sight to behold. Service came with a smile and despite the lunch crowd, we were attentively served. The team found the overall pricing to be very reasonable. Worthy of note was the slurp worthy and very tender beef tendon drenched in savoury kway teow broth. The mee rebus also had the right tinge of spices with its spicy and tangy sweet gravy. The sambal prawns rice set proved zesty to the taste while the Siamese Laksa was a unique mix of creamy santan and delicate greens, generously seasoned with fish brine. We opted for the Shell Bang flavour. Half the fun was in hammering the claws to get to the succulent crabmeat encased within. Founded by Derick Yap and Candy Kwok, this is the only eatery in Malaysia that serves Cajun delicacies. The first restaurant opened in Kota Damansara in 2014 followed by the second outlet in Setia Alam in 2015. Another outlet is scheduled to open in Publika, Kuala Lumpur soon. fish. He also sold scarves and brooches via using flyers as his marketing tool. At the end of each week, he would accumulate the profits earned and deposit about RM400-RM500 into his savings account. By doing so, each month he managed to save RM1500-RM3000. By the seventh month, his bank statements began to show positive transactions. With this, the bank approved a 100% housing loan at the price of RM220,000 for his first property. The property has since appreciated to RM650,000. Following that, his business begins to expand, enabling him to purchase another two properties. He also sold one of the properties whereby the buyer paid him RM40,000 in cash which he used to purchase yet another property. He later continued to purchase more properties. Now, he shares that most of his properties comprise shop lots, apartments and terrace houses. Aliff says he prefers to buy newly built houses while 20% of his portfolio consists sub-sales properties. Considering Vital Factors Aliff says he has never attended any developers’ events nor courses on property buys but looks out for the location factor as a priority whenever he decides to purchase property. BY: Magesany PV Lingam Besides the location, amenities such as schools, banks and shop must property investor and D’Herbs Healthy be located nearby asnterprising these will Sdn Bhd Founder and Managing Director Dato’ complement the property. Aliff Syukri Kamarzaman built his beauty and “I also prefer to invest in health products empire from scratch. His journey started townships with a diverse multi-racial in an informal way. He attended no motivational talks or demographics and mid to high-end seminars at any learning institutions but instead resident profile. These factors willhigher be indulged in part-time work trading scarves, brooches able to create healthy demand for the and even rendered pak andam or wedding make-up artist property,” adds Aliff. services. These factors even motivated owes the secret Aliff to purchaseAliff a whole level of of his successful career path to selfmotivation. During Residensi Suasana developed by MKhis early years, some of his friends and neighbours often poked fun and laughed at his dreams Land and a dozen units of Rafflesia, wanting to own a condominium of project developed byluxurious properties and expensive cars. However, he says he was even more determined to Bintai Kindenko Corporation Bhd in succeed when he took the brickbats and turned them into stepping stones towards achieving his dreams. dream house - start with a moderate one first,” advises Aliff. He says it is wiser to buy a more affordable property and then aim for a bigger one later. By then, the prices of properties would have appreciated to give more choices for future purchases. He adds that the aim is not to be quick to sell the property but to hold on to it for the long term. According to him, it would be wiser to keep at least one property to pass on to the next generation. “I have a five-year business expansion plan. My aspiration is to become as prominent as Syed Bukhary (Tan Sri Syed Mokhtar Shah bin Syed Nor Al-Bukhary) or Mustapha Kamal (Tan Sri Mustapha Kamal Abu Bakar),” shares Aliff. This year, he is in the midst of constructing his own property development spanning a four-acre plot that will comprise 88 townhouses with a Gross Development Value (GDV) of RM40 million. Aliff has formidable plans in the pipeline for future property investments and project developments. Despite the uncertain climate of the current property market, Aliff has no plans of slowing down. of the city’s capital. It can therefore be beneficial to look at negotiable packages for suburban properties as they would be more or less within an investor’s budget and will gain capital appreciation after some time. Developers of those projects are more likely to negotiate a better package for their developments which would allow purchasers to obtain better deals for their investments. IMPORTANT MPH’s Number One Bestselling Author Mark Chua has found that many people seem to think that location, infrastructure, schools, transportation networks and shopping malls are essential towards the potential growth of an area. While such conventional wisdom may hold some truth, Chua thinks most investors overlook the “people factor” of an area. “I have spent time evaluating the profile and potential income of residents of a particular area,” says Chua. “Let’s face it, people do not move to an upscale area like Bangsar to be close to Bangsar Shopping Centre. They move there because they want to be surrounded by affluent people,” he adds. NOT BE FOOLED BY NEW 4 DO PROPERTIES Most would-be investors assume that properties under construction are more affordable due to the ease of entry, rebates and discounts given by the developer. While this may be true, an investor must not confuse ease of purchase with investment viability. An investor should remember that while servicing their new property loans, they would not be able to rent out the property to support their loan repayments during the period of construction. Having said that, an investor with strong earning power would be able to invest in properties under construction without much difficulty. However, it would be advisable for individuals who are starting to invest in property to purchase those that are already completed. nvesting in properties is not easy, even if it is a great way to make money and accumulate wealth. While many investors start out with the intention of making it big in real estate, only a handful of individuals will successfully benefit from their first investment. Successful investing involves doing a few right things and avoiding major mistakes. Due to general misconceptions about investing, some investors may misjudge and make unwise decisions that will prevent them from achieving their long term financial goals. Secondly, having the right mindset is also important as it will provide investors with a realistic assessment of their properties. KC Lau, Property and Investment Author of kclau.com shares that with due diligence, anyone can learn from the mistakes made by other investors. Here are eight real estate investment tips to take into consideration when buying property. DON’T JUST FOLLOW THE CROWD Warren Buffett, one of the most successful investors in the world once said, “Be fearful when others are greedy, and be greedy when others are fearful!” Most investors commonly make the mistake of following trends blindly. It is also not unusual for novice investors to invest without fully understanding the risks involved concerning their investments. Thus, the result can be catastrophic because when the market is saturated, this could result in a property purchase that is priced above its actual market value. WHEN YOU FAIL TO PLAN, YOU PLAN TO FAIL Far Capital Sdn Bhd Chief Executive Officer Faizul Ridzuan says that attempting to build a successful property portfolio without a plan is like setting out on a road trip without a map where you will end up getting lost. Successful wealth creation through real estate requires a solid set of goals, focus and long term planning. This will allow investors to best manage their cash flow and assets. There are some who would like to invest in properties but procrastinate. This makes them their own worst enemy. These would-be investors will attend every property seminar and read all available information on investing but do not take action due to indecision and an inability to act. Jonathan Quek, Founder and CEO of Owners Circle shares that an investor should always be learning from industry experts. However, the best way to gain knowledge is to start by investing in properties for firsthand experience. It is not easy to buy and sell property as there are numerous costs involved such as Real Property Gains Tax (RPGT), Sales and Purchase Agreement (SPA), maintenance fees and so on. Property purchases have traditionally proven to yield investment returns. They have the propensity to provide steady long term gains through the compounding of property prices. Investors can use the gains they make from one property to leverage on the purchase of another property. With the combined gains from these two properties for instance, the investor would now be able to expand his portfolio further. Before investing, an investor should always thoroughly research the property they are buying into instead of allowing their feelings to cloud their judgment. They should ask themselves the following questions… “Will it provide attractive gains and returns? Is the location good enough to attract tenants? Will the property gain capital appreciation in the long term?” By asking and answering these questions, savvy investors could be able to shift their thinking away from personal feelings to an analytical mindset. At the end of the day, investing is all about the economics and not the emotional side of things. It is easy to fall into the trap of poor cash flow management when first starting out. It is therefore important to understand the costs involved in acquiring and holding on to a property. An investor should seek the advice of a professional accountant familiar with real estate investment to understand the financial risks involved. Secondly, investors must not forget to account for contingencies such as extended vacancy periods or unexpected repair costs. A good rule of thumb is to allocate 10% of the funds gained from investing in properties to be channelled to costs such as taxes, insurance, maintenance and management fees. LOCATION, LOCATION, LOCATION Location makes a huge difference when it comes to purchasing property be it for investors or even house buyers. Locations that are easily accessible can increase the value of the property significantly so be on the look out for properties that are located nearby Light Rail Transit (LRT) and Mass Rapid Transit (MRT) stations. SEEK A PROFESSIONAL’S HELP Most investors think managing their portfolios on their own by finding their own tenants and acting as their own property managers will save them cost and give them greater profit. This would be reasonable for those who own a few properties but for those possessing high number of properties, they could eventually find themselves being overwhelmed by the sheer task of managing their properties. Paying a professional to handle incidentals on their behalf would thus be worth the cost. This will give owners added freedom and time. property’s location as well as the condition of the property. “For my clients with properties situated within known territories or area locations, their decisions would also be based on trust,” she maintains. Real Estate Tycoon Club Executive Director Sandeep Grewal says, “The seller needs to create a perfect viewing environment. By doing this, the seller will have potential buyers harping on him or her to sell the property to them.” He says that the demand for sales would increase concurrently with the first favourable impression of the property. Therefore, to see a fully furnished unit selling at top dollar, efforts like incorporating chic interior design with attractive colour schemes work wonders, as a favourable first impression can push up the perceived property value considerably. In order to sell fast, he agrees that keeping the units clean would be a plus point. Using mild aromatherapy to create a conducive environment would also enhance the positive first impressions created on potential buyers. It is wise for the seller to be at the location early and book the viewing slot during the day, especially when the climate is conducive. He also advises sellers to enhance the comfort of the space by keeping the area cool and pleasant for the buyers. This is crucial as the buyer needs to experience a cosy home ambiance when he drops by to view the property. Sandeep shares this nugget of wisdom:- “It is always best to buy below the price value of the property in a particular location and also to invest in the type of unit that commands demand. Thereafter, selling the property would be easy.” “The current market is a buyer’s market. Therefore, if the units look prominent or presentable, buyers will see the value added (benefits) of the units. They will also continue to stay focused on the desired units until the right price is struck,” he says. Another question which may arise on how to make the properties stand out is to fully furnish the units attractively. Sandeep says that whenever prospective buyers enquire on the right time to purchase property, his reply would be only to sell when one needs cash. This is because it is better to rent out the property as it will eventually pay for itself. “It is better to wait until the price really appreciates again before selling it off,” he concludes. innovating. For instance, the company specialises in providing engineering products and services covering the following areas:• Low Voltage (LV) Switchgears and its components • Medium Voltage (MV) & High Voltage (HV) Switchgears • Cast Resin Transformer • Oil type Transformer • Industrial Control System • Harmonic analysis and Power Quality Management • Energy Monitoring System • Solar Photovoltaic (PV) Modules, Components and Systems including On-Grid, Standalone, Street and Compound Lighting CHINT electrical products can be found operational at various Mass Rapid Transit (MRT) and Light Rapid Transit (LRT) stations. It can also be found at Keretapi Tanah Melayu (KTM) stations including at the Kajang MRT, Gombak LRT and KTM Seremban. Alternatively, CHINT switches can be found at several project sites including Setia Eco Hill in Semenyih, KL Gateway fronting the Federal Highway and D’Ísland in Puchong, among others. Alpha Automation’s state-of-the-art production lines also supply PV cells from high quality silicon wafers that are assembled into solar modules of varying dimensions. Its range of Astronergy represents the first large-scale producer of high-efficiency thin film PV modules in mainland China and has been a trusted provider of monocrystalline and polycrystalline PV modules since its founding in 2006. Some of these solar projects are located at Top Glove Tower in Setia Alam, EPE Switchgear in Nilai and KL ECO City in Mid Valley City. According to Tey, the launch of the NEXT series products is not only a breakthrough but also an effort by CHINT to encourage the whole industry to return to an age where great importance is attached to product competitiveness. It also aims to create a new chapter for high-quality products. The advantages of the new series is that it can withstand an operating temperature range of between -35˚c and 70˚c. “Reliability is extremely important for end-users and The Next Reliable Choice makes reliability the core feature of CHINT NEXT series products. Research and Development (R&D) is important in ensuring product quality. For instance, the product has powerful applicability despite operating even in severe environments. The product also has reliable operations in service conditions with large fluctuations of grid voltage and higher service life. This will enable it to meet the requirements of end-users in terms of less current leakages and more accurate leakage protection,” says Tey. A total of 150 million yuan has been invested in the CHINT NEXT series products project. More than 400 developers participated in the whole R&D of the new products which has resulted in 360 patents. Over 7,860 reliability tests were conducted to realise the new series products’ high reliability and safety qualities. his month, Property Insight caught up with Lieutenant Commander (Lt Cdr) Mohd Farhan bin Mohd Nordin from the Royal Malaysian Navy. Currently working as an instructor in KD Pelandok in Lumut, Perak, he alternates his time between his career and family in Kuala Lumpur. In a rare moment of freedom, we spent some time learning what drove him to property investing. Property Insight (PI): Please share with us your journey into property investment Mohd Farhan (MF): My journey to property investment was purely by luck. Back in 2012, at the recommendation of a friend, I purchased my first condominium. It was meant for my own personal residence. Instead, I rented out the property and sold it a year later and made a profit of RM130,000. That was when I realised that property investment was a great idea to supplement my income. I think I entered the property market at the right time. Slowly, I started doing my own research by attending seminars, buying books and learning about the property market. Once I felt confident, I bought my second property. I am still buying and investing to this day. PI: What does your wife think about your investments? This depends on a variety of factors such as my Central Credit Reference Information System (CCRIS) rating, ability to finance a loan coupled with repayment plans. As an investor, I focus mainly on properties around the Klang Valley region that have easy access to transportation. I only invest in condominiums, apartments or service apartments. I chose high-rise properties because in addition to investing, I need to maximise my rental yields to cover my monthly loan repayments. There is a significant difference if you look at the rental rates between condominiums and landed properties. A high-rise property generally commands better rental rates than a landed property, even if both are fully furnished. There is a prevailing sentiment among renters that it would be better to buy a landed property outright instead of renting it. Therefore, a landlord would not be able to lease his property at a higher rate even though the area footage of the property is larger than a high-rise property. When I rent out my properties, I focus on the younger generation who tend to be more mobile.These younger executives prefer having modern living amenities and transportation nearby which benefit them. Also, there are not many landed properties that would be able to provide the security and comfort of condominium living and be affordable to the young. PI: What do you think of the current market sentiment? MF: There is a clichĂŠ in property investment that says, â&#x20AC;&#x153;the best time to invest was yesterday and the second-best time is nowâ&#x20AC;?. The market value of a property will not go down, only the asking price would possibly differ. Having said that, you must do your research thoroughly before purchasing. Property prices have increased rapidly in the last 10 years. I think prices would only soar in the future. In a few years, I am certain you would not be able to find as good a deal as you would right now. PI: What is your strategy to finding a good deal? with any decisions. Buying a property is a risky endeavour and is something that requires long term planning. If something unfortunate happens, the other party would still be able to continue to safeguard our investments. For example, if I were to rent out one of our properties with a negative cash flow, I will still be able to obtain extra money from her to pay off whatever housing instalments that I have left on the property. We move forward together as a team because it is our investment and not mine or hers alone. PI: As a navy and family man, how do you balance your work, life and investments together? MF: These days, I am working on land with fixed office hours instead of being at sea. In my spare time during the week, I will read up on market trends and search online for the latest property and deals that are available now. When I am back in KL during the weekends, I spend three to four hours viewing the properties that I have researched online. PI: What do you look for when you are expanding your portfolio? MF: I am mainly interested in projects that are still under construction. Such projects provide low price entry and deposit bookings for a unit. This way, I will not lose too much money if I wish to pull out of the project before signing the contract. I also have a threshold, a maximum price that I do not exceed. MF: Firstly, you need to ascertain the market price of a property. Find out the average selling and asking price of properties in the area you are interested in. You need to remember that you are making money not only when you sell the property, but also when you are buying it. The profit on paper is just as important as the profit in hand, even if you are selling the property later. Secondly, you need to have long term planning. There are plenty of properties under construction these days that are selling between RM400,000 and RM500,000. This is the price range that I would buy at. Personally, as a government civil servant, I am able to obtain housing loans of up to RM650,000. In addition, there are many civil servants in the country and because of the loan threshold, they would be able to obtain loans from the government with relative ease and even given the price appreciation. PI: Any advice for those who wish to start investing? Yap Sue Yii (SY): As the daughter of a businessman, I grew up observing his way of conducting business. From his teachings, I learnt how to observe a competitor and the way he or she runs the business while taking into account the overhead and costs associated. From a young age, I was inculcated with a business mindset and my interest in business was nurtured accordingly. PI: How did you get started in this business? SY: I am an artsy person. Although my parents were initially insistent that I work as a professional, I have always found joy in the creative arts. I found the inspiration for starting my own business while on a trip to Vietnam with my dad. From our trips around the country, we noticed that the Vietnamese are capitalising on the global “modest wear market” themselves. They are creating apparel specifically catered to Muslim tourists and the thought struck me why we are not doing the same. That was how Royale Demure came about. PI: How did you decide upon your company’s niche? the mall. While the designs were undoubtedly beautiful, some of the pieces were unsuitable for them. By allowing them to design the pieces themselves, they would be able to produce a fashion line that is not only beautiful, modern and chic, but also appropriate for them to wear without appearing immodest. The idea is that if they want to wear it, the community at large would be receptive as well. The second problem I’ve encountered is that many talented young men and women who wish to create their own fashion line as a side business simply do not have the time to run their own businesses with a full-time job. My platform offers them that flexibility without the hassles involved. From these observations, I found the perfect opportunity to carve my own niche while helping others to create their own fashion labels as well. RAHSIA YANG BAKAL ANDA KETAHUI “Eh! Boleh ke?” Perniagaan pasar malam ke syarikat tersenarai awam di Bursa Malaysia. Portfolio Unggul: Mampukah saya bersaing dengan bakat yang terbaik? Tahniah! Belajar cara sempoi untuk penutupan perjanjian jualan maksimum! Focus 2017! Strategi “Walk the Talk” pemasaran melalui penggunaan bajet terhad. Rahsia Terbongkar!! Jom dengar tips-tips bisnes bagi peniaga baru. already have a sizeable online following which made my initial marketing much less taxing. By offering my platform as a place to market their respective fashion lines, they would be able to showcase their wares. I am now partnering with larger brands for collaborations. The collaboration allows me to showcase my clothes worn by various celebrities and enables me to attract a bigger target audience than before. PI: How do you hope to grow your brand in the future? SY: Royale Demure has always made women’s clothing our top priority but we are looking to expand the line to include fashion accessories like bags, shoes and more, to make it more appealing to all. We also like the idea of expectant mothers’ crowdfunding designs which they want to see their children wearing. And, if other parents like their designs, the product can then be manufactured. This is an interesting niche that we’ve tapped into and the potential for growth is tremendous. in direct sales. However in 2006, at 23 years of age, he yearned to have more flexible time and opted to become a full-time tuition teacher specialising in mathematics and additional mathematics. The second property he purchased was introduced by his friend who was a property agent with a developer. In 2006, Liew went on to buy an auctioned house in Kajang for RM70,000 and later sold it for RM150,000 in 2013. He trusted the advice of his friend who pointed out the positive points of the area which prompted him to purchase the unit. Liew received close to RM80,000 from the sales of the property in Kajang. From 2014, the money from the sales of this unit in Kajang was used to buy other properties, especially under-construction units from developers. This encouraged him to purchase other under-construction properties. He was able to receive close to 15% rebate from some developers while putting down a booking fee of only RM3,000. and opts to hold on to properties for the longer term instead of flipping them after each purchase. Liew has not ventured into buying commercial properties like hotels, warehouses or office lots yet, although it is in his future investment plans. He also prefers average-priced properties valued between RM300,000 and RM600,000 as they tend to have higher potential in terms of being rented out. On the other hand, expensive or high-end property tends to have lesser demand and follow the market uptrend instead. Liew says he handles his tenants by hiring property management companies like Subhomes Hospitality and Maxi Homes in the Klang Valley. His wife also helps to manage tenants for him. In the southern part of the country in Johor, Liew has engaged VF Management and Core Home Management to oversee his property management and to look into the needs of his tenants. Liew says he prefers to hunt for properties instead of overseeing the tenant management aspect. “I can buy properties anywhere, but I search for good deals online and from property fairs,” he says. His team of close-knit investor friends also advise him on where to hunt or seek properties. Now, he has a reliable group of 15 team members - seven investors in the Klang Valley, five in Johor and three in Penang, who collaborate by visiting more than eight to ten properties per day. He counts Michael Tan, Sandeep Grewal and Sen Tan as mentors he looks up to for advice and their outlook when it comes to property purchases, especially when it pertains to making hard decisions. Pointing out Malaysia’s key advantage, Liew predicts that the market boom happens every two years after a slow down as seen during the Asian Financial Crisis of 1997-1998, followed by the downturn of 2007-2008 and the current slowdown of 2017-2018. Therefore, he plans and researches his property purchases according to this cycle. However, he advises those looking into purchasing property at this time to be cautious. The silver lining he concludes would be when the market eventually picks up after this downturn. enowned auction house Sotheby’s which started its operations in 1744 in London has certainly come a long way. After a 250-year history of auctioning luxury items including paintings, wines, vineyards and gems, it made a landmark move in 1976 by including realty or property listings to cater to its network of rich clientele. Seeing positive prospects in 1996, Sotheby’s International Realty® considered global expansion in Europe and US. Later in 2004, Sotheby’s entered a long term strategic alliance with Realogy Holdings - a real estate franchising and provider of real estate brokerage, relocation and settlement services. Its legacy of luxury continues in 80 locations in 40 countries, with its main presence being in New York, London and Hong Kong. Sotheby’s conducts some 250 auctions annually with global sales reaching US10 billion (RM42.8 billion) in sales volume. Today, this legacy continues with Sotheby’s presence in key cities around the world namely London, New York and Hong Kong. Recently, List Sotheby’s International Realty, Singapore joined 880 Sotheby’s International Realty® offices with 20,000 sales associates across nearly 70 countries to become one of the region’s leading luxury residential brokerages with an international network and digital marketing capabilities. Property Insight spoke to List Sotheby’s International Realty, Singapore Chief Operating Officer Leong Boon Hoe on his take on the luxury property market given the current weak market sentiments and more. properties across the world. The Project Marketing team markets luxury projects locally and across borders. PI: How does Sotheby’s International Realty® in the US support List Sotheby’s International Realty, Singapore’s objectives? LBH: Sotheby’s International Realty® will support List Sotheby’s International Realty, Singapore’s efforts with a host of operational, marketing, training and business development resources. In particular, its advanced digital marketing capabilities and global media partnerships will change the way luxury homes are marketed in Singapore and the region. PI: How does Malaysia complement List Sotheby’s International Realty, Singapore? LBH: Undoubtedly, now being close by to Singapore, (it is) easier to do business as clients travel directly to Singapore, and are always updated on sales and purchasing options. List Sotheby’s International Realty, Singapore can be the focal point for Malaysian investors looking to invest in luxury residential properties in Singapore or globally. PI: How does technology figure in List Sotheby’s International Realty, Singapore’s marketing? 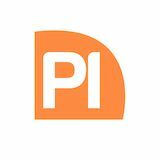 Property Insight (PI): Can you share about your appointment as the COO in Nov 2016 and what the job entails? LBH: List Sotheby’s International Realty, Singapore operates the best online platform to list its properties globally on sothebyrealty.com and its 140 affiliates’ websites. Its global media partners include New York Times, Financial Times and Juwai.com. Using mobile or virtual reality applications also create opportunities for referrals from other affiliates and our auction house. potential clients. Through the virtual reality (platform), clients from Singapore can experience viewing their desired properties and gain global access to properties located in the United States and vice versa. This combined digitalisation and media partnerships paid off handsomely when Sotheby’s International Realty® achieved S$134 billion in global sales volume and 120,000 transactions for the year 2016 – a record in the history of the brand. Outside the United States, it achieved S$14 billion in sales volume after expanding into Europe, the Caribbean and Asia. PI: Have you sold any projects since your office set-up in Singapore? LBH: For a start, we have been appointed exclusively to sell a S$20.8 million seafront bungalow on Sentosa island. We are also closing deals to exclusively sell several super-penthouses and iconic overseas properties. PI: How do you identify hotspots? LBH: We don’t focus on price tags but on prime locations. In Malaysia, such prime locations will include but are not limited to Bangsar, Bukit Bintang, Mont Kiara, Damansara Heights and the Petronas KLCC Twin Towers. In Singapore, our area focus will be the Central Regions (both the core and the rest of the Central Regions). PI: Share with us your clientele’s average portfolio. LBH: Luxury residential properties, locally and regionally, usually form part of ultra high-net-worth (UHNW)individuals’ investment portfolio. Such properties offer them luxury, pride of ownership and yields. We are able to provide access to a wide array of such luxury properties around the globe - from vineyards, seaside mansions, ski-resorts, apartments in metropolitan cities and even private islands. PI: Which locations are mostly sought after by Malaysian and Singaporean buyers? LBH: Our clients invest for various reasons - for use, growth, legacy planning and yields, among others. UK, Australia and parts of the United States regularly tops the wish list for their children’s education and legacy planning. Investing in holiday homes in regional destinations such as Thailand, Vietnam and Malaysia could be for their growth potential, yields and personal use. PI: Any plans to set up an office here? LBH: Malaysia is an important market for us and we are certainly looking forward to operating in Malaysia when the opportunities arise. Most Recent Milestones * In 2014, List Sotheby’s International Realty, Japan Realty, Japan completed one of the largest transactions for a 6,620 sq ft semi-detached house at Bishopsgate Residences in Singapore’s District 10. It was transacted at S$25.8m to a Sotheby’s Auction House client, with the transacted price setting a record then, despite cooling measures and the implementation of the total debt service ratio framework. * Sotheby’s International Realty® brand was the number one real estate company represented in two of the six categories that comprised the 2016 REAL Trends/The Wall Street Journal “Top Thousand” report. * In January 2017, Sotheby’s International Realty® was recognised as the “Most Trusted Residential Real Estate Brokerage” in the United States by a Lifestory Research report. Investment motivations are increasingly being driven by yield spread. The emphasis on capital appreciation has weakened due to the current market cycle. An increasing number of investors view potential interest rate hikes as a major concern. Australia retained its status as the preferred crossborder investment destination, increasing its lead over second place held by Japan. Outbound investment is set to remain robust but Asia has overtaken Europe, the Middle East and Africa (EMEA) as investors’ preferred destination. Investors are moving up the risk curve in order to achieve their target returns. here and now. With the rise of mobile phones, we saw the demise of fixed-line telephones and smartphones eclipsing their analogue versions. Skype and WhatsApp have replaced traditional phone calls, and Telcos are scrambling to create new business models out of old. Otherwise, like dinosaurs, they would die out soon or become obsolete. In the Banking industry, Fintech is coming, with Bitcoin and crowdfunding being part of this emerging financial landscape. The same is true of GRAB and UBER which have replaced the way traditional cabs fetch customers. TECHNOLOGY MOVES PROPERTY In the property industry, technology and democratisation of information have already been adopted by estate agents and media providers in terms of property listing websites, advertising, property launches, mass mailing and videos. Classified advertisements have also almost all migrated online. With access to infomation at the fingertips of consumers, the value proposition of intermediaries will definitely come down. Buyers (and sellers) will be as aware of market pricing and availability as their agents, thus eroding any business advantages agents and advisers can offer. There will be impact on fees, irrespective of any statutory fee scale that the licensing board may propose - not just for agents but also professionals such as valuers. Neighbouring Singapore is a good case study. Hotels are now also facing competition from the shared economy as seen in Airbnb taking off. Scalability at little cost is the key, and no hospitality operator can match this growth or resist its emergence, an idea of which its time has arrived. Technology has attracted and made entrepreneurs out of passive property owners and homemakers. More so in instances when it is hard to get long term tenants. Brian Koh is Executive Director of property consultancy and valuers, Nawawi Tie Leung Real Estate Consultants Sdn Bhd and a keen observer of the property market. principal amount of your housing loan will be reduced with each payment you make. In addition, as the housing market grows, the value of the house will appreciate with time, especially if it is in a good location. Although buying a house sounds great, it may not be affordable for everyone. These are some other added commitments and issues that may come along with a house purchase:•	Owning a house may take up a lot of your time as you have to handle repairs and the general upkeep of the house •	Small improvements you make to your house can add up to your expenses •	Being tied down to monthly loans might affect your other financial commitments •	Even if you are not happy with your new neighbourhood, you cannot simply move out until the value of your house appreciates before you can sell it •	Unexpected events can bring down the value of your house. For instance, the area may be prone to floods or the access road to your house may be affected by a new housing development. and the kind of neighborhood that suits your needs. Ideally, your residence should be situated nearby grocery shops, banks, post office, schools, hospitals, recreational parks and so on. Other considerations include feasible travel distance to your work place and whether public transportation is available. IS THE PROPERTY LANDED OR HIGH-RISE? You would also need to determine whether the property type is landed or high-rise. In general, landed property costs more. This is especially true of property located nearer to the city centre. High-rise condominiums and apartments on the other hand, provide more facilities and are generally more affordable than landed properties. IS THE PROPERTY FREEHOLD OR LEASEHOLD? The type of ownership would either be freehold or leasehold. When you buy a freehold property, you get to own the unit for an indefinite period. A leasehold property meanwhile lets you own the property for the lease period which is normally up to a period of 99 years. After the lease period is over, the property reverts to the state authority. This is unless the lease is renewed (for which a premium is payable to the state authority). Due to this, a freehold property tends to command a higher price over a leasehold property. DOES THE PROPERTY HAVE AN INDIVIDUAL OR STRATA TITLE? The availability of the title of the property – be it individual or strata is important. Home owners would be issued an individual title for landed properties while a strata title will be given for condominiums or apartments. You will need to check if there are encumbrances or restrictions in interest on the property you are buying. These restrictions may affect the transferability or saleability of the property hence, it is best to get a lawyer to advise you before paying any deposit for the purchase. In the past, have the developers delivered their properties on time? What is the quality of their work? Have they provided all the amenities as listed in their marketing brochures? Do they have any abandoned projects? Please bear in mind that you are liable for all disbursements made by the lender although you do not get delivery of the house. ​Dr. Desmond Chong Kok Fei ​is a Trainer and Head of the Financial Education Department, Agensi Kaunseling dan Pengurusan Kredit (AKPK). He has over 25 years’ working experience in marketing and management, covering both the local and overseas markets. His significant work experience with accountants in delivering comprehensive financial planning services has helped many companies and individuals to achieve their plans. He is a Registered Financial Planner RFP and Shariah RFP. He obtained his Doctorate in Business Administration in 2003. Have you done a background check on the developer, especially if you are buying a house under construction? Do you know the encumbrances and restrictions in interest on the title? Do you have enough money to make the down payment? Can you afford to pay the monthly instalments comfortably? Do you know the incidental fees or costs that you have to pay? Is the interest rate fixed or pegged to the Base Lending Rate (BLR)? Is there a penalty if you redeem your loan before the tenure expires? wning a house has always been one of the major goals for Malaysians. No doubt, having a roof over one’s head is one of the few key aspirations in life. However, many first-time homebuyers, especially fresh graduates or individuals under 30 are struggling to be able to buy properties within the Klang Valley. Getting into the property market for the first time is undeniably a huge commitment. And, it seems like the exponential high price to own a house remains out of reach for the common Malaysian. According to the report “Making Housing Affordable” by Khazanah Research Institute in 2015, the overall Malaysian housing market is “seriously unaffordable”. What “affordable housing” means is that besides being able to afford a property purchase, one should also be able to maintain a minimum standard of living after paying off the monthly housing loan instalment. However, with the rising cost of living permeating daily household items including food and other necessities such as petrol coupled with escalating property prices, the average household is finding it more difficult to stretch out their finances to afford their own property purchase. Last year alone, Malaysia hit a household debt of 89.1% or RM1.03 trillion with Bank Negara Malaysia acknowledging that housing affordability is a challenge. come up with a 10% down payment for the purchase of the unit. For instance, a RM500,000 residential unit would require a RM50,000 down payment which may be a hefty sum for first-time buyers to come up with. Accumulating the deposit or down payment is indeed a challenge for first-time homebuyers. This is because it may take some time to obtain the amount needed, especially when there are so many other living costs to attend to. Furthermore, many first-time homebuyers now have to find areas they can afford to live in rather than purchase property in the areas they want to live in. In addition, most new property prices exclude desirable locations as most of the housing projects will either be outside or on the outskirts of Kuala Lumpur. Although there may be setbacks and challenges for first-time homebuyers, the key to owning a property is to do some research and homework first.